The speaker is an Automation test architect and has considerable industry experience and also conducts courses with Techcanvass. Automation testing in Selenium using Python language is probably the easiest way of getting into automation testing. Python is an easy to understand language. Is Manual Testing getting obsolete? Is manual testing on the verge of getting obsolete? Or there is more to it than it appears? Listen to this short video and see if the manual testing is never going to be irrelevant.. 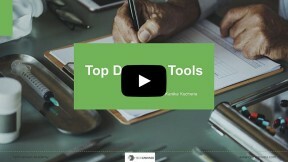 In the second video on DevOps Tutorials for beginners, we present to you the top tools used for DevOps practice. 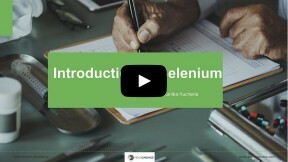 In this Selenium tutorial for beginners, you will learn about "what is selenium?" with couple of examples. If you are new to Selenium and automation testing, this is a perfect video to get started. Techcanvass’s Selenium 3.0 tutorials for beginners is a complete and comprehensive set of tutorials designed for manual testers. These tutorials comprise of Java and selenium 3.0 tutorials, starting from the basics. These tutorials are written for Selenium 3.0 version. How to install and setup Selenium v3? This article explains the concepts of Selenium webdriver in action. Selenium is one of the most popular automation testing tools in the market. How does Selenium web driver work? You write your Selenium automation script in Java (you can use PHP, Ruby etc as well). In your selenium script, you use drivers, specific to the browsers, you are planning to use. In this tutorial, we are going to demonstrate writing your first Automation Script in Selenium. This test script will show how to test a particular value in a drop down list box. Selenium v3.0 has introduced Gecko driver, thereby creating similar approaches to write automation scripts for any browser. Selenium v2 had in-built support for Mozilla Firefox browser. Locators provide a mechanism to access the HTML elements on a web page. Once we locate an element on any web page, we can write test cases to execute on them. In this tutorial, we are going to write test case for a text box. The next tutorial will cover check box and radio button unit testing. This tutorial is chapter 19 of complete Selenium 3.0 Tutorials, being developed by Techcanvass. These tutorials are categorized into Java, Selenium, TestNG, Automation Framework and Grid. In this tutorial, we are going to learn about writing automation script for List box in Selenium 3.0. List boxes are designed to allow selection of multiple options unlike drop down list box & radio buttons. Web tables are an important element in web pages. During the development of automation script for a web page, we may also need to write scripts to handle web table and data. This functionality is part of many screens in a software application. We have to write scripts to automate the testing of File upload as well.